Another physical issue to work out is the wiring which will mainly be concealed. 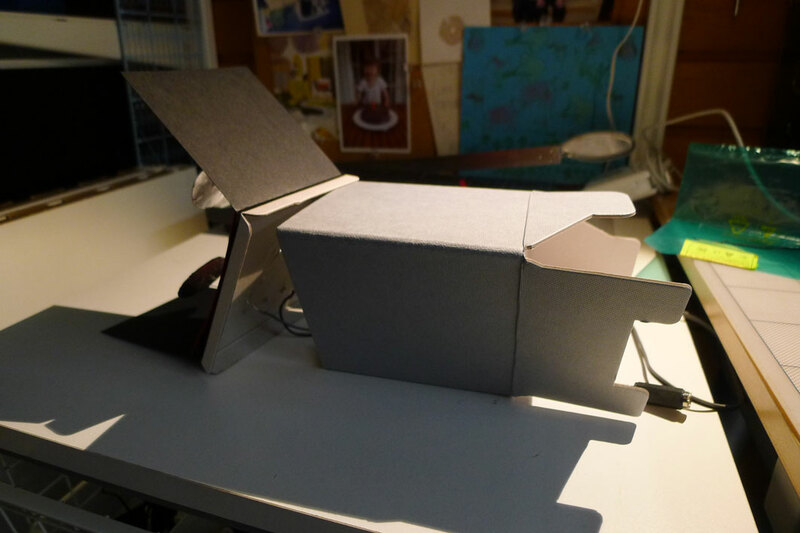 The hard cardboard boxes I use have a recess area around 7mm at the back which is enough to hold the wires. 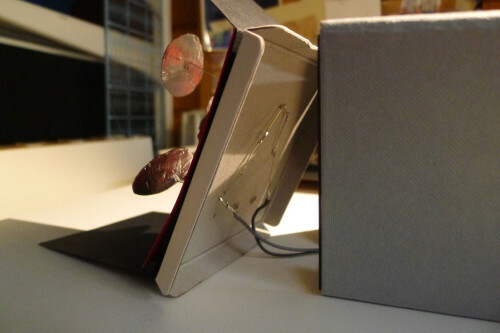 The folding on the back allows a power cable to come out. The LEDs are positioned on the backing/ background sheet. Their pins go through the background sheet, the back of the casing, and the recess cardboard (through pre-made holes in the correct positions). 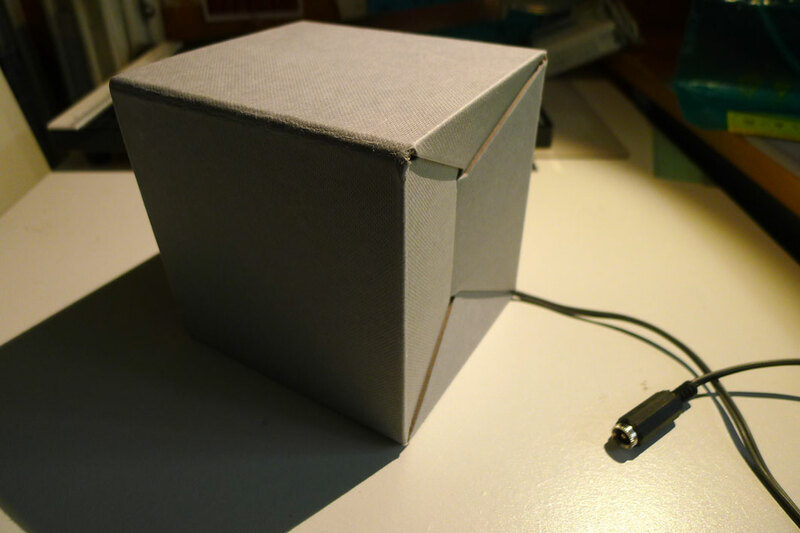 The main power cable goes through the gap between the foldings at the bottom corner of the box. Wiring are connected on the back of the recess board. 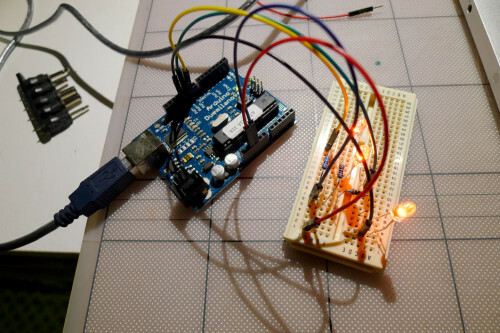 LEDs are connected by their pins or additional wires (soldered). I decided against using perforated breadboards as these would complicate the positioning of the LEDs and their wiring. Going through 3 layers of cards should secure the LEDs in place. Although I am considering the use of conductive tape in the case of more complicated wiring (such as when the components need to come from the sides as well as the back). 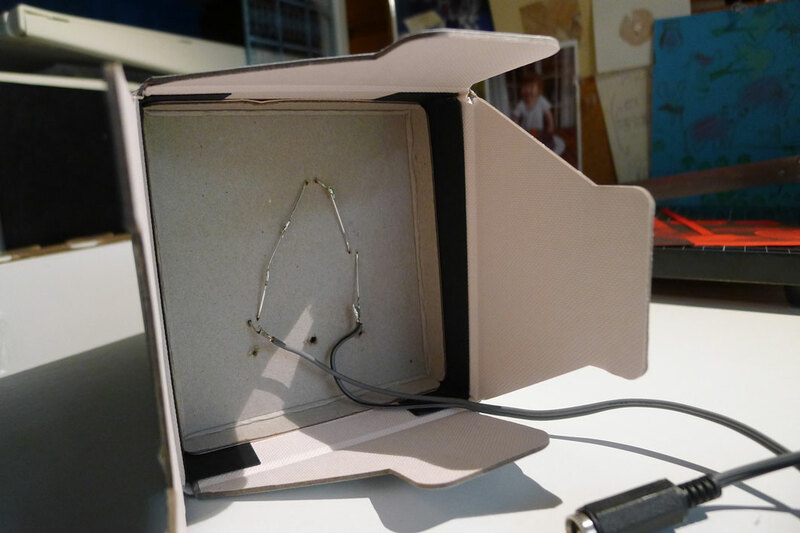 The different elements in the diorama are usually positioned using wires onto the backing sheet/ background. Some other elements can also come from the sides. Together with the casing and the recess card, these will fit back into the box. This shows a view of the different layers pulled out. While this set-up would work for just LEDs and minimal wiring, some boxes would require an arduino and the height of the board I am working with exceeds the depth of the recess area. So back to the drawing board with those ones. 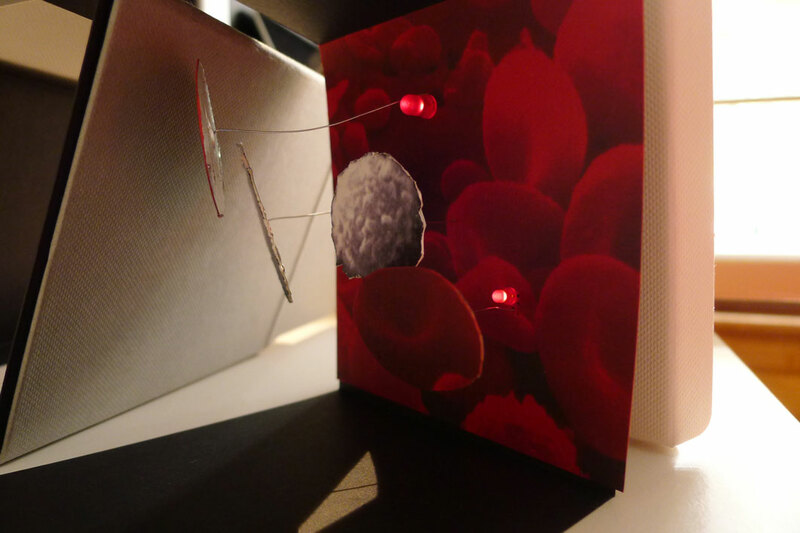 For the ‘human blood corpuscles’ diorama, I will be using an arduino to control 3 pulsating red LEDs.